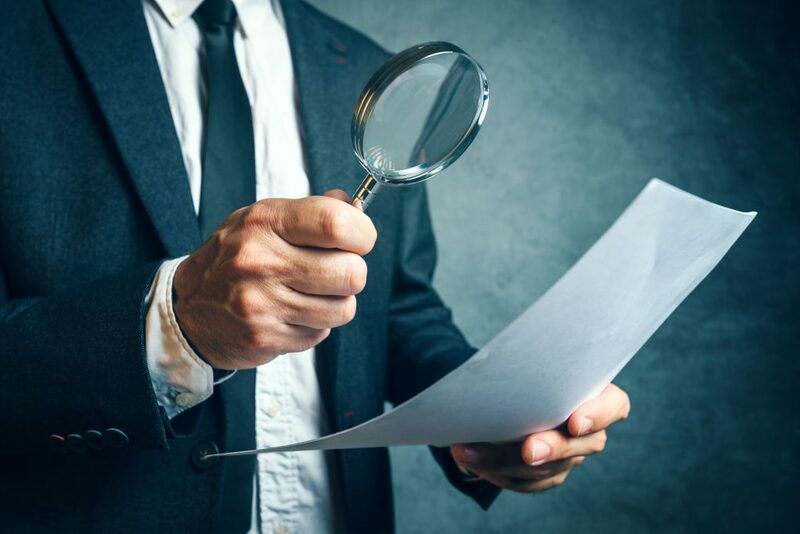 Tax inspector investigating financial documents through magnifying glass, forensic accounting or financial forensics, inspecting offshore company financial papers, documents and reports. Blogger’s Note: It appears to me the trial-level judge in the Court of Federal Claims has determined the regulation at issue is invalid because it “conflicts” with the statute insofar as the regulation purports to limit the penalty to less than the maximum allowed by statute. Notably, while the initial regulation preceded the statutory change, the regulation’s upper limit was extended regularly to account for inflation and, thus, reaffirmed by the treasury since the statutory change. That regular adjustment was also noted in the second U.S. District Court opinion to follow Colliot v. United States (full text of opinion here) in Wadhan v. United States (full text of opinion here). We now have 2 out of 3 courts deferring to the regulations and the third stating that there is a conflict – but is there really a conflict? The treasury clearly has discretion within the statutory range to impose what the department sees as reasonable, and the statutory maximum does not ever have to be imposed if the treasury determines that circumstances would never require it. While a regulation requiring more than the statutory maximum FBAR willfulness penalty would be in conflict with the statute, a regulation that imposes something less than the maximum is within the law, not in conflict with it. I also find the implication that Congress wanted to override the Treasury’s existing regulations to be unavailing. Congress could have written the statute to limit the Treasury’s discretion but did not. Congress left it up the the Treasury to figure it out. In doing so, Congress accepted the risk that the Treasury issued regulations limiting imposition of the penalty in some or all circumstances to something less than the maximum. James O. Druker, Kase & Druker, Garden City, N.Y., for Plaintiff. whom was Blaine G. Saito, Trial Attorney, for Defendant. months, concluding on March 10, 2017.
that a determination of willfulness is fact specific, and depends upon circumstances and nuances. See Status Conf. Tr. 4:15-21.
requested leave to file a reply, and the Court denied this request by an Order on June 5, 2018.
percent of the balance of her unreported foreign account. of, any provision of § 5314,” not to exceed $10,000. 31 U.S.C. § 5321(a)(5)(A). Defendant’s motion for summary judgment. See generally, Def.’s Reply, ECF No. 33. 2 Mr. Kay, the other scheduled witness, did not appear to testify. chapter in 2011. See 31 C.F.R. §§ 1010.350(a), 1010.306(c). The term “willful” is not defined under the statute. See generally, 31 U.S.C. § 5321. 486 U.S. 128, 133), quoted in United States v. Williams, 489 Fed. App’x. 655, 658 (4th Cir. known.” Safeco, 551 U.S. at 68 (internal quotation omitted). 951 F.2d 1466, 1476 (6th Cir. 1991). determine whether Ms. Norman knowingly or recklessly failed to file an FBAR in 2007.
culpability for violating § 5314. See OVDP Q&A No.10. for which Ms. Norman was assessed the 50 percent penalty. to support her assertions, Trial Tr. 82:12-20, her theory depends on her memory alone. When she made that withdrawal. Trial Tr. 60:2-7. Recognize Mr. Kraft’s invoice for preparing the quiet disclosure, Trial Tr. 98:20.
materials – other than the few details which help her case – strain credulity. 5 Although Ms. Norman testified that she did not travel to open the account, Trial Tr. 40:17, numerous bank documents signed by Ms. Norman state that they were executed in Zurich. See Def. Ex 1-2, 2-1, 4-2, 11-1.
accountant in 2012, Trial Tr. 75-77; her letter to the IRS from Mr. Druker in 2014, Trial Tr. owned by her mother, Pl.’s Compl. 2:12; and even her testimony at trial. See, e.g., Trial Tr. Originally, on her 2007 tax return, Ms. Norman claimed not to have a foreign account. she tried to apply to the OVDP when she learned of it. In contrast to Ms. Norman’s questionable testimony, the evidence at trial was clear. Ms.
her financial information from U.S. authorities by signing to waive her right to invest in U.S.
send the taxes due on those securities. See Rev. Proc. 2000-12, 2000-1 C.B. 387 (2000). visit with a bank representative. Def. Ex. 28-1.
publicly announced its new business plan. Def. Ex. 15-1. Met yearly with her Swiss banker, Hans Thomann to discuss the account. Def. Ex. Took out $100,000.00 from the account in 2002, Def. Ex. 28-1; Trial Tr. 68:7-11.
once reading any documents, and without realizing that the account had tax implications. of this document written in German at 28-5, translated the phrase, and cited to that entry. 1275, 1282 n.10 (11th Cir. 2000) (same). After trial, Plaintiff submitted the decision in Colliot referred to above. Letter, ECF. No. before 2004, the amendment made in 2004, and the holding in Colliot. 2007 is the only tax year at issue in this case. her mother, who was in control of this account. 12 31 C.F.R. 103.57 was reorganized in 2010 to 31 C.F.R. 1010.820.
shall be increased to the greater of  $ 100,000, or  50 percent” of the balance of the account. greater of $100,000, or 50 percent of the account’s balance. This text is unambiguous. Explanation of Tax Legislation Enacted in the 108th Congress, JCS-5-05 at 387 (2005). so long as that penalty does not exceed the ceiling set by § 5321(a)(5)(C). statute under which they are promulgated.” Id., cited with approval in Colliot, 2018 U.S. Dist. longer consistent with the amended statute. Therefore, 31 C.F.R. 1010.820 is no longer valid. See Larionoff, 431 U.S. at 873.
by that interpretation, and will not follow it. under 31 U.S.C. § 5321 in the amount of 50 percent of her account’s balance was appropriate. The Court therefore dismisses the case, and the Clerk is directed to enter judgment accordingly.